My new office space / spare room. There is something about having a room to call my own. For the past many years, I’ve either had a desk in a dark corner of a busy room or in the middle of the chaos and hubbub. However, this past weekend we claimed my sons’ room and turned it into a space I can finally call my own. Made by my great-grandfather, this chair is passed down to the first Austin son of the next generation. It will stay in my home for a very long time. In this space I will study my class work. At this desk I will write my novel. On this couch I will read devotions. 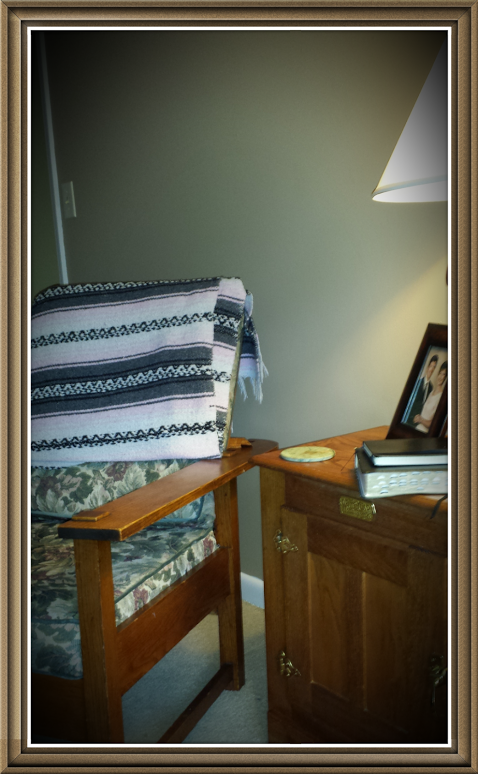 In my grandfather’s chair I will sit quietly and pray. This is a holy place. It is a holy space: Set aside for a purpose, this room will speak to my soul and allow the creativity of my inner being to flourish. Who knows? I might even pick up the guitar from time to time.